An inspection blitz targeting electrical systems of high-rise buildings is being undertaken throughout Toronto. Residents have been displaced in multiple St. James Town buildings because of preventative maintenance failures. In August 2018 about 1,500 residents were evacuated from 650 Parliament St. They have been unable to return to their home until at least August 2019 by which time it is expected to have cost $46,000,000 to restore the building and make it habitable. A recent Electrical Safety Authority (ESA) inspection at 280 Wellesley St. E. found the electrical system to be in poor working order and unmaintained in “many, many years.” A 260 Wellesley St. E. property had power cut off after a water pipe burst. An ESA inspection identified major work to be done before power could be restored. The risk of a building evacuation increases when there is a failure to undertake preventative maintenance. In the case of 650 Parliament St., a rental building, cost of repairs translates to an estimated $100,000 per unit. A similar situation in a condo building, which may not have been covered by insurance because of a lack of preventative maintenance, could result in a special assessment many are unable to afford. Building residents would incur additional costs for alternate accommodation for a year. Toronto’s preventative maintenance blitz will hopefully reduce similar building evacuations in the future. The blitz will involve inspections in buildings throughout the city. Buildings will be identified for “comprehensive inspection and testing of their electrical systems.” The intended focus will be on buildings with a history of non-compliance. Toronto Fire Services and ESA will identify buildings where inspections are deemed necessary. Toronto Fire Services undertakes annual inspections of all high-rise buildings. 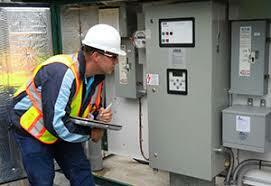 Inspections don’t always include electrical systems. 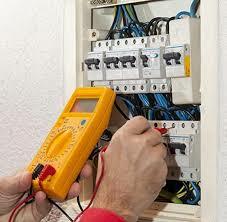 Industry standards recommend an electrical system inspection every two to three years. There is no requirement that this process be followed. The blitz will hopefully encourage condo communities to be more cognizant of the need for preventative maintenance in all systems. As buildings age, preventative maintenance is necessary to ensure electrical and other systems are maintained to current standards of safety and performance.